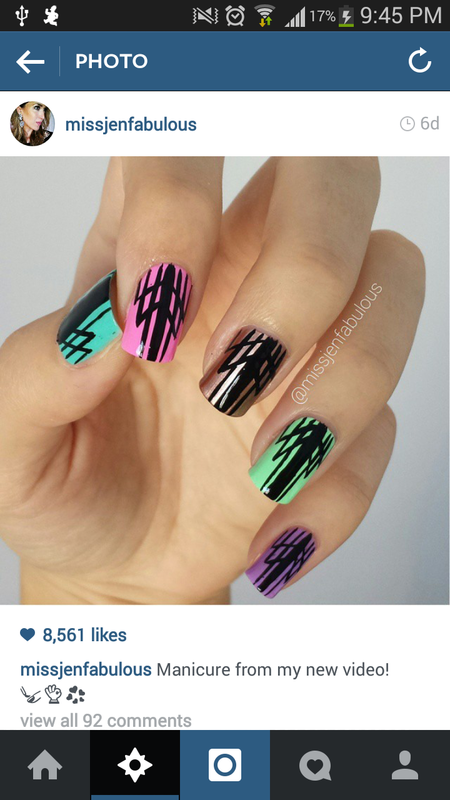 N A I L S B Y J E M A: MissJenFabulous.. Not fabulous, just a nail art thief!!! MissJenFabulous.. Not fabulous, just a nail art thief!!! This week, I got MissJenFabulous’d. She stole one of my creations, recreated it, uploaded it on all of her social media as her own and blocked me when I asked if it was inspired by me. If I wasn’t so pissed… I’d be proud. She has stolen art from some of my favourite nail artists, so the fact that she saw my ‘Art Deco’ inspired nails from Nail It Magazine and recreated them, means I’ve obviously got talent, right?? No... Wait... IT’S NOT OKAY JEN! Below is my original mani. Published 15 weeks ago according to Instagram. I saw a table runner in white with red lines at Christmas, took a photo of it, and put it in my ‘inspirations’ folder. 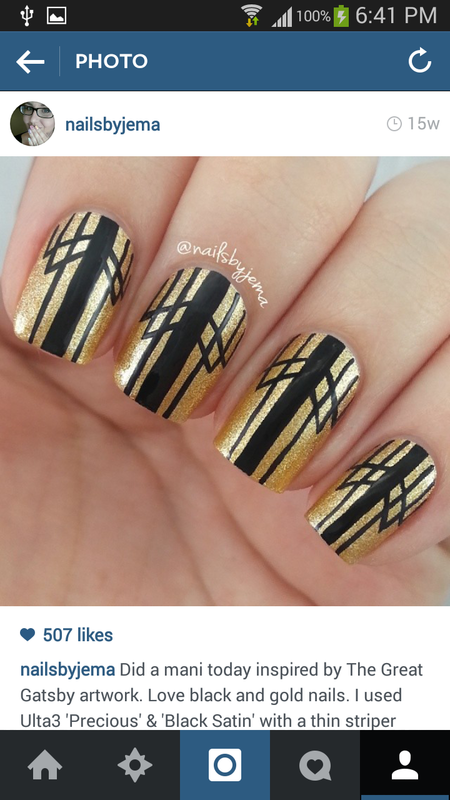 When Nail It Magazine asked for ‘Art Deco’ inspired nail submissions, I thought of doing something Gatsby inspired with the black and gold colours, and then when browsing through my inspiration folder I saw the photo of the table runner and decided to do the above mani (I wish I still had the photo to post up but I deleted it after doing the mani to reduce folder clutter and memory). Then, the September/October issue of Nail Art Magazine came out and my nails were featured on the cover!! I was SO damn excited. MY nails, on the cover of a magazine! How could this be a bad thing??? Well, 7 days ago I got a DM on Instagram from a great follower of mine telling me that Jen had posted my mani in her newest ‘Nail Art for Beginners’ video. I guess she received her copy of Nail It Magazine last week……………. And below is Jen’s replica published on YouTube on the 19th of June, 2013. She kept the same accent nails, used the same colours, everything!! And did she even mention Sarah in the video or comments for credit or inspiration.. Nope! Then she blocked Sarah on Instagram when someone else mentioned it looked like hers. I mean sure, leopard spots are very common. Stripes are even more common. But the two together, with the same accents and then blocking everyone who mentions it looks like Sarah’s nails? Her actions prove her guilt. If she was innocent she would explain where she was inspired for or address the issue. I mean, girlfriend is getting a LOT of hate and anger towards her over this.. She has done this over 10 times that we know of and each time she just blocks and removes comments. She took no time in removing all evidence from her page. It's possible she had the same idea.. But days after my mani is on the cover of a nail magazine? Some coincidence. How old is she?? Because she acts like a child!!! Zenorah posted a video you can watch HERE which goes into more detail about EVERYTHING she has taken, and if you still need further proof, go to Jen’s Instagram and ask if this mani was inspired by me.. Or comment that her nails look just like mine. See how long your comment or your access to her page, lasts. She is making money from YouTube. She has nearly 750,000 subscribers and videos that have millions of views. She is making money from other people’s ideas. Lots of money. And it’s just not right!!!!! She won't get away with it. 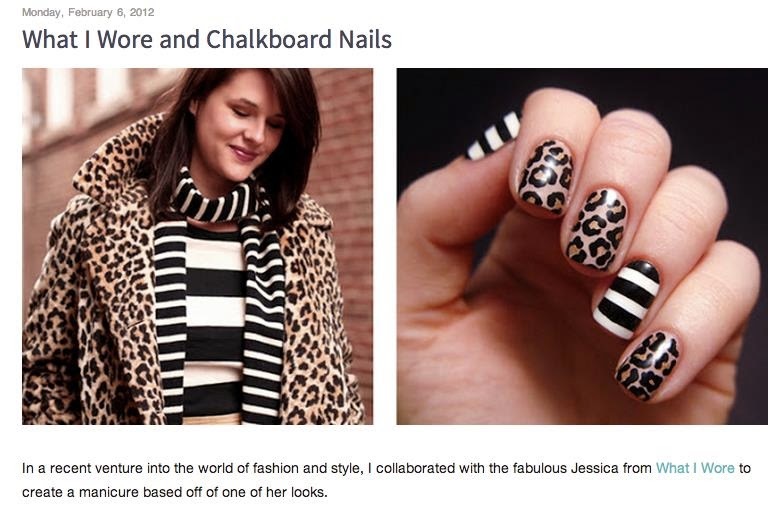 The nail community is in total uproar over this and have been for a while now.. But is there anything you can do? Go to her YouTube and flag her videos as copyright infringement. Flag her instagram photos as offensive. Share this post and let people know what she is doing. She actually has the audacity to claim these are her ideas, and if we let people know she isn't as innocent as she claims to be, her followers will stop, her subscriptions will decrease and our voices will be heard. The point of the post is, credit your inspiration folks!! 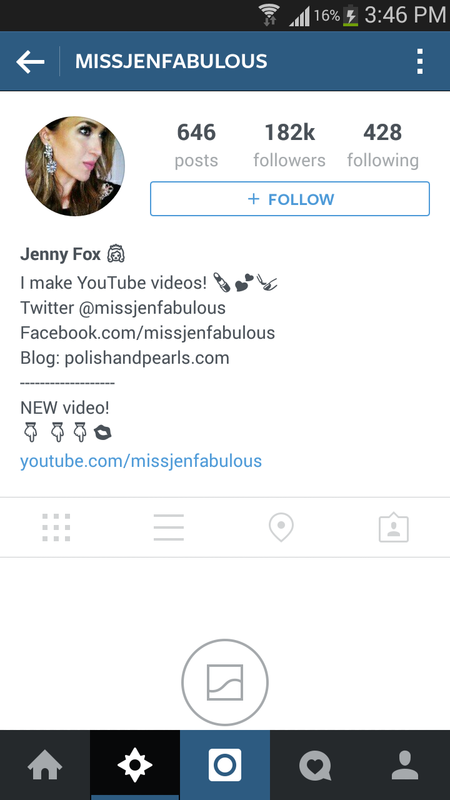 Otherwise you’re just a dirty nail art thief like MissJenNotSoFabulous. After I posted this, it was brought to my attention that my art deco nails look exactly like one posted in 2012 by Nailside. Unfortunately, similar manis do happen every now and then and it cannot be helped. I have not seen every mani on the internet. I had never seen her nails or visited her site and would not be taking such a strong stance against a nail art thief if I had stolen this design from Nailside. I wish I had kept the original inspiration photo of the table and table runner as proof of my inspiration but unfortunately I didn't think I would need it. I apologise to Nailside if I have offended her and she thought I stole her creation, but I can assure you this is a 'great minds think alike' situation and not me hoping no one had seen her mani and taking her idea as my own. Hi Jema, I've heard this story before about missnotsofabulous. I love searching for things and I'm curious if you remember the store or anything else about where you saw your original inspiration? Also, what does instagram say about it or for that matter, Nail it Magazine? Does the mag do any business with her? Just curious is all. I hate injustices it's one of my biggest pet peeves! I believe it was at Myer which is a higher end department store in Australia, however it may have been David Jones (another similar store). I don't remember which exactly. Unfortunately it is a common story with her. She has ripped off about 90% of the nail community. Nothing she does is her own creation. Instagram can't do anything because it isn't an actual photo of my hand. I haven't thought to contact Nail It Magazine. It's a good idea to contact the magazine. You may not have seen but she was at NBC studios 7 days ago... Bleh so sickening! I just now read about this... I feel terrible because I've ALMOST recreated manis she has STOLEN, but didn't and I'm glad. 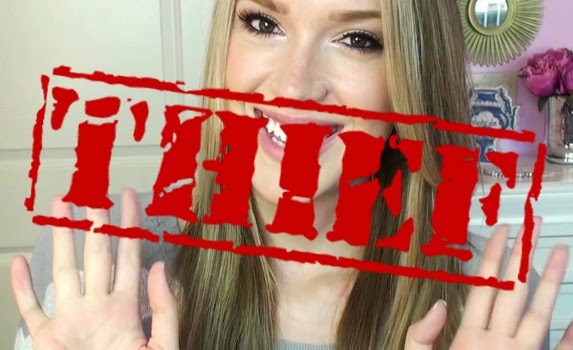 :( She was the first nail art youtuber I watched and now I'm DONE.